As we look across America and the world, we continue to see many forms of deception taking hold of aspects of Christendom and society in general. It is something that cannot be avoided, if Scripture is truthful (which it is). The reality is that as the world closes in on the end of this current age and the dawning of the next one (where Jesus will physically reign victoriously for 1,000 years though with a rod of iron), there is destined to be a growing uptick in deception that will grow like a plague. I was reading a few articles on a particular website that echoes warnings about people and their aberrant theology; false prophets/teachers. Christians who are at all left-leaning find organizations like this to be quite off-putting. “Who are they,” they ask, “as if they have a corner on absolute truth and no one else does?” The Bible says one thing or it says nothing. It is our job to determine what God is actually saying. This is fairly easily done when Scripture is allowed to interpret itself. The plain, simple truth is that while some organizations come across obnoxiously when pointing out faults, foibles, and sinful and deceptive practices by some within Christendom, there are some organizations who attempt to simply present facts based the truth of Scripture. Let’s face it, there are religious organizations that are minimally aberrant to extremely aberrant. Adopting false theology could happen to any of us, if we are not careful. We have an obligation to ensure that what we believe the Bible to be saying is, in fact, what God actually says, not what we think He says. We must know why we believe and we must be willing to stand on God’s Word regardless of the consequences of doing so. Does that make a person “extreme”? Certainly, to the world (and left-leaning Christians), it will appear that way, because the world’s system is diametrically opposed to God and His revealed truth. I don’t really want to take the time to point fingers at too many individuals, but I’m frustrated that they continue their theological shenanigans in spite of having been “outed” by so many for so long. What do their continued set of parlor tricks say about the church-goer today who accepts them without any real biblical vetting? It doesn’t bode well. 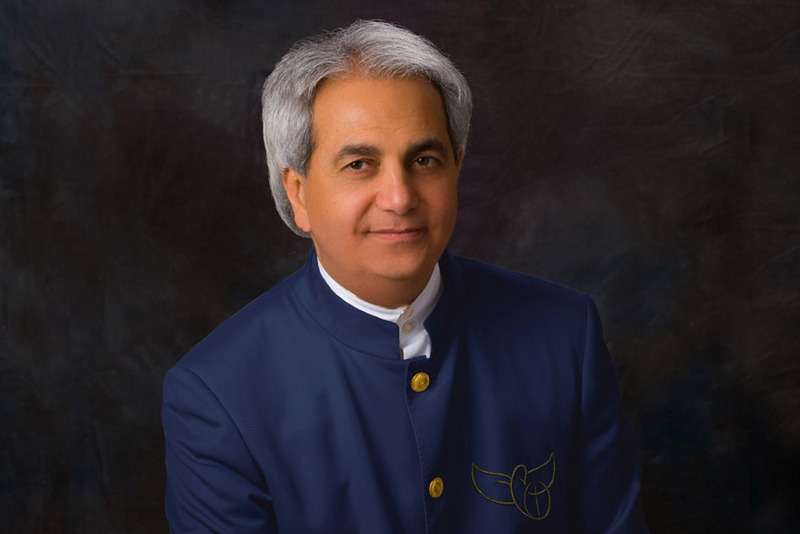 For instance, take Benny Hinn. I’m sure there are some who continue to believe him, but in general, his antics and theology are so off-course that one would think it would be obvious to everyone. Unfortunately, it’s not. We won’t try to ascertain whether or not his faith in Christ is genuine. I don’t know his heart. However, it seems clear enough that even if he is truly saved, much of what he preaches are absolute lies and he is deceived in many ways. Several websites list every one of his failed “prophecies.” Yet, he continues to be welcomed to numerous churches across this nation, invited by pastors and other leaders who are open to Hinn’s false message. One article recently pointed out that in the early 1990’s Hinn “prophesied” that God was going to destroy the gay community in America. During the process, some would come to know Jesus, though many, he said, would be destroyed. He warned this would occur in the mid-1990’s. I’m guessing that either Hinn was wrong or he was speaking of another “America,” because it clearly did not happen, did it? People give Hinn a pass though instead of seeing him for what he is – a false prophet; one who should be dutifully avoided. Within America, there are many people who believe themselves to be prophets and even apostles. We’ve mentioned that before. People in both of these categories believe they have the same authority as the prophets or apostles of old. They approach ministry with that mindset and too many gullible people swallow everything they preach and proclaim. People who do not accept their authority are often shunned or kicked to the curb. In general, there is a deceptive blanket covering much of society today, not just in the church, but throughout secular society as well, of course. The result both in and out of the church is a growing lawlessness due to shifting mores that are replacing God’s truth. People in the church break God’s laws by clamoring after individuals who are simply charlatans or preach error because of their political leanings. It’s called idolatry (spiritual adultery). This is a reflection of society that promotes godlessness in many ways. Many Christians will even say that breaking the law is fine if the intended agenda is designed to create good. This is a very slippery slope. The only time Christians are to go against man-made laws is when those laws prohibit obedience to God and His laws and the worship of Him. Of course, this is often left up to individual tastes and interpretation via emotional virtue. An increasing number of Christian leaders adopt and preach a social justice warrior approach to society, all in the Name of Jesus of course. These individuals do nothing to help the current homeless population or veterans in America. You won’t necessarily hear them speaking out against abortion either. Yet, these same individuals preach about how important it is to allow more undocumented individuals into America to be cared for by the US taxpayer. This is not something Jesus would have supported but these leaders do so because of their infallible belief in fallible secular ethics. Unfortunately for them, their brand of ethics does not necessarily come from the Bible but from philosophers and extremists who simply use portions of Scripture taken out of context to justify their unlawful positions. The frustration within society is growing because of things like this. Tennessee recently passed a bill that allows drivers to run over protesters blocking the road (if said drivers practice “due diligence”). Other states have done or are doing the same thing. What is interesting is that people opposed to this bill make statements like “our founding fathers would roll over in their graves.” Ostensibly, the belief is that our founding fathers would side with the people who are illegally blocking roads, causing traffic to come to a standstill, and creating general havoc. The sad fact is that our founding fathers certainly would have supported all means of legally exercised free speech. However, blocking roads, stopping traffic, and keeping ambulances with victims in dire need of emergency services from getting to hospitals are not protected forms of free speech. In fact, those aspects of protesting are clearly illegal. Over the past eight years, these folks have largely been coddled. That is changing. There is a way to peacefully protest that conforms to existing laws and still allows people to exercise their 1st Amendment rights. Breaking the law while protesting is criminal. But in today’s world, political correctness has created its own set of truths that allow and encourage people to break the law. We are seeing it on an increasing scale. This situation has also entered Christendom as well from people preaching false doctrine to high-profile leaders in certain denominations acting more like social justice warriors (SJW), instead of true Christians. These left-leaning individuals present a form of godliness but are devoid of any real godly power at all (2 Timothy 3). They misuse God’s Word to justify their own lawless actions. Paul speaks to the fact that in these end times, lawlessness will increase (2 Timothy 3:1-5). We are experiencing these times. A type of lawlessness has planted itself within Christendom as a reflection of the greater lawlessness that tends to rule society. Christian leaders applaud. This is the downside of the age of grace, so to speak. I was reading Scripture today for my daily reading (Numbers 15 – 17), and it seems on the surface that there did not appear to be much grace on God’s part when dealing with the nation of Israel. Truth be told, there was actually a great deal of grace continually extended to the people of that nation. However, at times, the hammer of God’s judgment came swift and hard. Numbers 16 highlights “Korah’s Rebellion.” These individuals, led by Korah (son of Kohath), sought a mutiny against Moses. They became puffed up and insisted that they were as good as Moses. As human beings, they certainly were just as valuable as Moses was, as far as God was concerned, but Moses’ position was certainly far higher than theirs as was his responsibility before God. Korah and his followers could not compete with that. Arrogance and pride was their undoing. Ultimately, the earth opened and swallowed all 250 of them because of their rebellion against God (Numbers 16:31-35). God was not fooling around. In Numbers 15, we learn how God dealt with people who sinned unintentionally, which certainly points to His overwhelming grace. In that same chapter, we read about an individual who broke the laws of the Sabbath by gathering sticks when he was not supposed to do so. The result? He was taken outside the camp and stoned to death (vv. 32-26). It is difficult for us to fully appreciate how important it is to obey the Lord because we do not see fire coming out of heaven (or the mercy-seat) to destroy people on the spot, nor do we take people out and stone them for breaking Sabbath laws. Of course, the Church is not Israel so those particular laws are not connected with the Church anyway. Acts, the numerous epistles like first and second Corinthians outlines the way the church today is supposed to discipline its members and it is always to be done with a liberal amount of mercy. As we see things in society and Christendom become more lawless, it is important to understand that we must cling that much more to all truth found in God’s Word. The only time it is permissible to break societal laws is when those laws put us at odds with obedience to and worship of God. While wanting to allow more “refugees” into America may appear loving, compassionate, and even Christian, the reality is that there are already millions of people in the USA who are here legally but being treated as if they are garbage. We need to focus our attention and love on them before we begin to reach out to those outside of America. That is what Christ would do. Deception and lawlessness are gaining ground in the church and within society. Christians must recognize it and reject those things fully. To some, it will appear that we have no “compassion.” Be that as it may, Christians have a responsibility to uphold the law and there are plenty of ways to show our compassion and gratitude to those who are already here in America yet are going without. They are not being written about in the papers or shown on the news. There is much that should be done for homeless people in America, yet they are dutifully being ignored in favor of individuals from war-torn and terrorist countries, who are brought here, given money, housing, and everything else, while America’s homeless starve in the streets. There is something absolutely despicable about that and the Christian and political leaders who would use all sorts of shameful ways to heap guilt on the American taxpayer need to themselves be shamed. Entry filed under: Agenda 21, Atheism and religion, christianity, Communism, Cultural Marxism, Demonic, devil worship, emergent church, Emotional virtue, eternity, Global Elite, ISIS, Islam, Islamofascism, israel, Judaism, Life in America, new age movement, Political Correctness, Politically Correct, Politics, Racism, Radical Islam, Religious - Christian - End Times, Religious - Christian - Prophecy, Religious - Christian - Theology, salvation, second coming, Shadow Government, Sharia Law, Socialism. Tags: 1st amendment, 2 timothy 3, benny hinn charlatan, christian leaders, deception, form of godliness, free speech, homeless in america, homeless veterans in america, korah's rebellion, lawlessness, moses, numbers 15 - 17, protesters, sjw, social justice warrior, theological error. Trump’s Presidency Bringing Leftist Fascism Out Into Open	Does Dispensationalism Teach TWO Methods of Salvation?